Comidor can virtually map and track any organizational process through its Workflow unit. 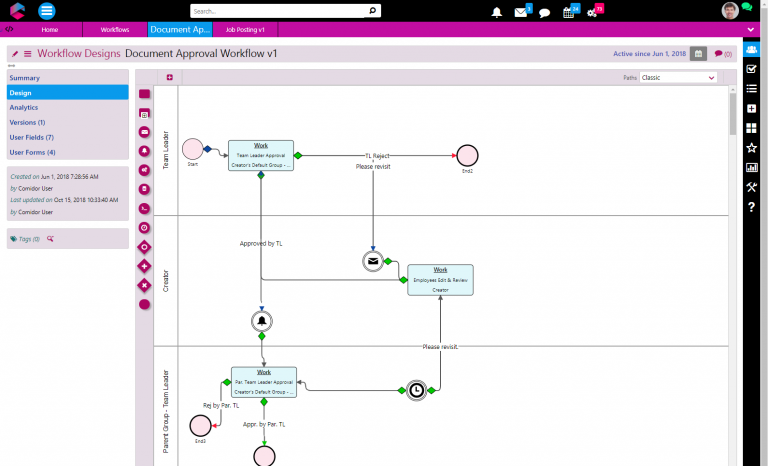 Workflows fully exploit the organizational structure to provide unprecedented process design and action monitoring. 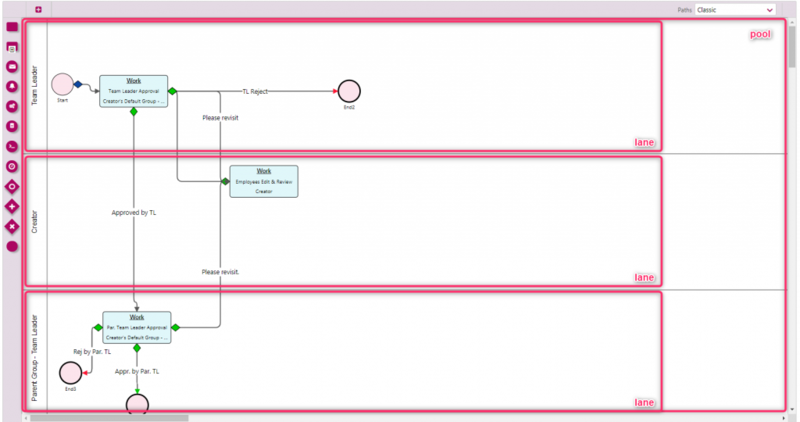 Through Workflows Designer, user can navigate and modify existing processes or create a new one using BPMN 2.0 with drag-n-drop functionality. 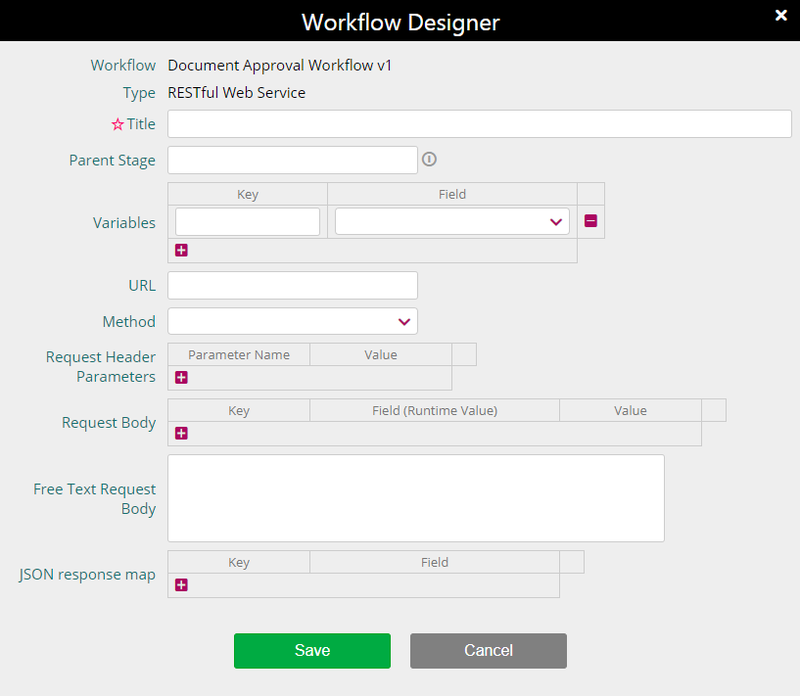 Attaching Workflows in a Process can give automated Workflow stages (Processes or Tasks) that are assigned to users/groups. While changing a stage’s status, process goes to the following steps accordingly. 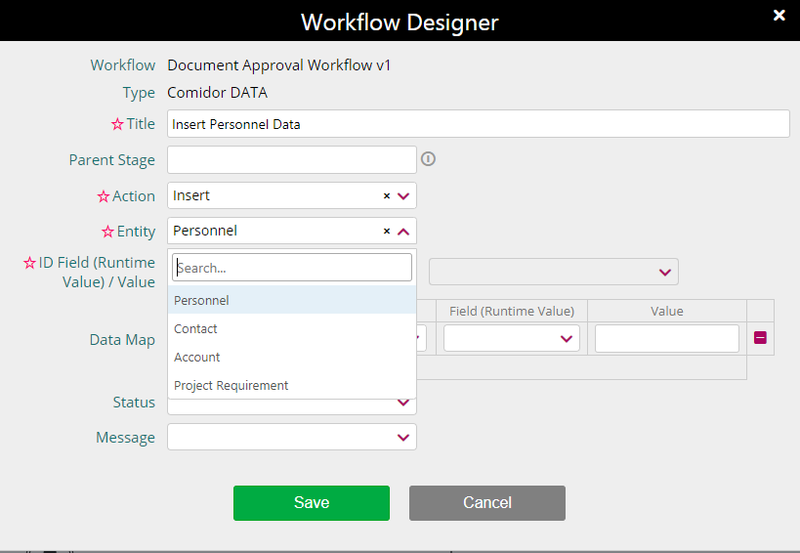 Most importantly, at any step of a workflow can be matched additional User fields and User Forms, to help departments add meaningful information in a process with custom fields. 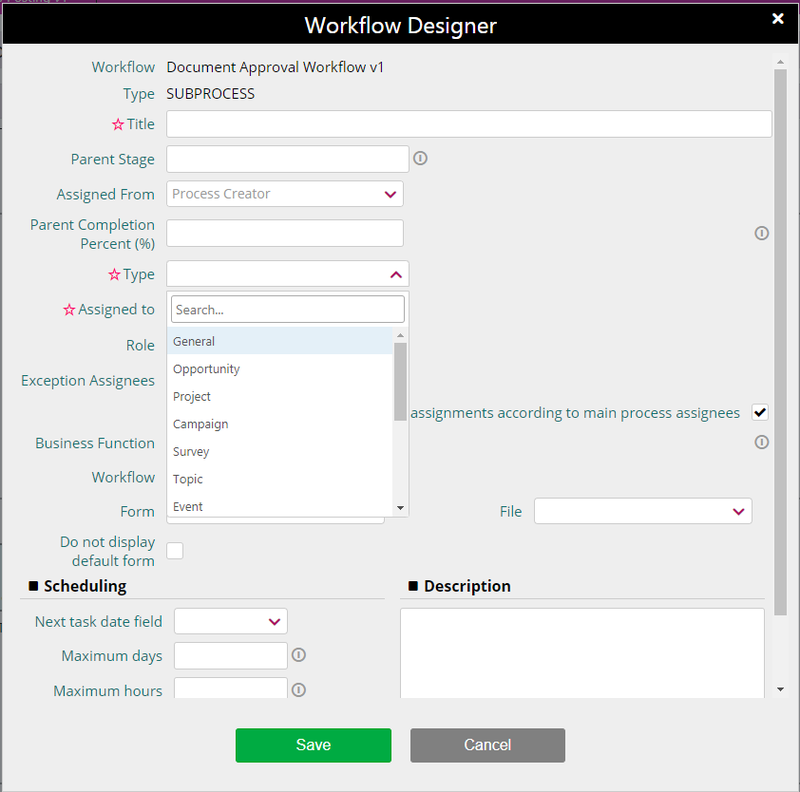 Workflows can be connected with a Process Template, Process Schedule or driven manually by creating a Process (of any type). 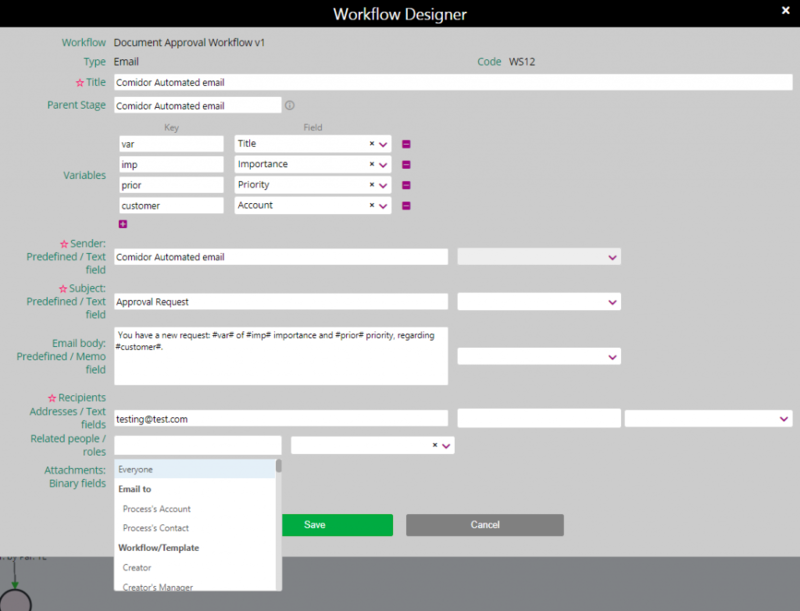 Click on Application Menu Button> Business Automation > Workflows. To create a New Workflow, simply click the new (+) button. Now, add the details of the Workflow. 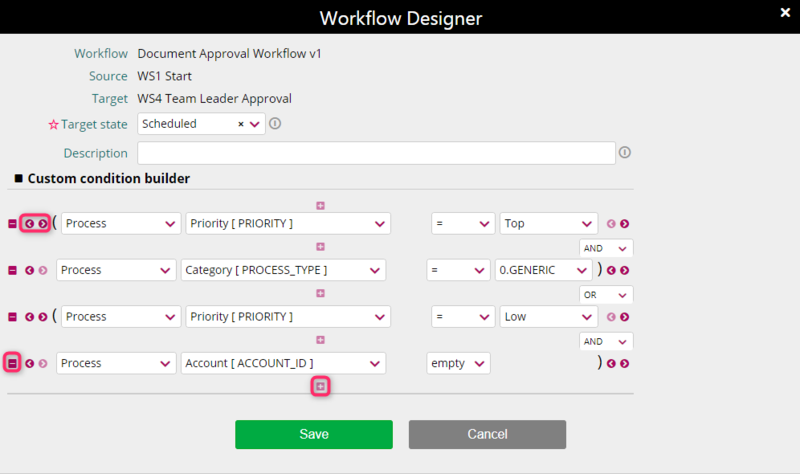 Give a Workflow name as Title, select User group which has the accountability of the process, choose between setting maximum duration of workflow in days, set the minimum pre-defined priority status. 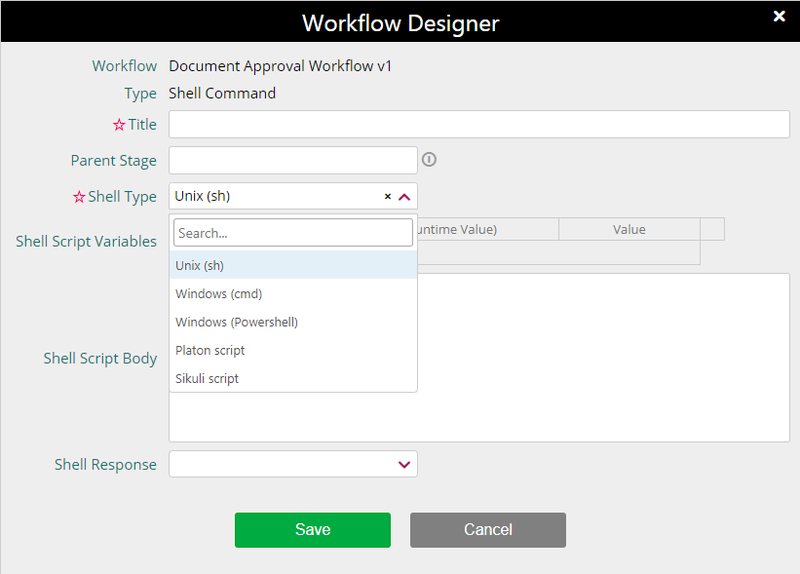 You can also set a prefix that follows all process instances, for example if you create a new process of workflow with prefix DOC, then the first process’ with this workflow code will be DOC1, the next one DOC2, next DOC3 and so on. Do not forget to give access and change rights to specific users or/and groups and add a short description. Then, click the “Save” button. 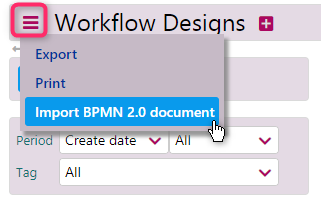 Alternatively, you may import a BPMN 2.0 Workflow by pressing the Actions button and selecting the related option. 5. Tags to manage this workflow personal/group/public tags. In the Design tab, you can start Workflow creation. 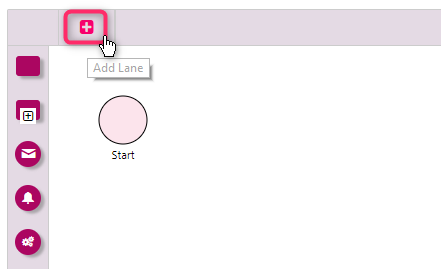 You can add Lanes in the Pool by clicking on the small “add” button. Still, you may have as many End events as you wish. Email: Email element is Throwing – Message Intermediate Event that can be used to create and send custom emails through your automated process. Timer: Timer element can be used as Catching – Timer Intermediate Event that adds a delay in hours or days in your workflow. System Notification: Send pre-defined or custom system messages to specific Comidor users. 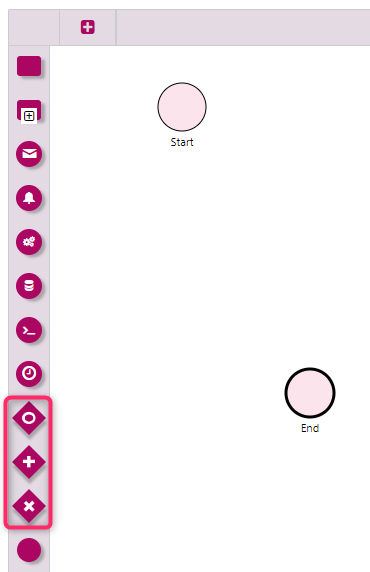 Timer boundary Events and Conditional Events are depicted in Comidor differently from Activities’ inside. Events affect the process flow and have a cause (trigger) and an effect (impact/result). Activities refer to work performed by user(s)/group(s) (atomic or non-atomic) which can be a Task or Sub-Process (sub-process may be of any type: Generic Process, Project, Opportunity, Event, Training, Issue, Ticket, Topic, Job Posting, Campaign). Tasks (atomic or choreography): task is used when the work is not broken into a finer level, while choreography task is used any time we have more than 1 participants, who need to exchange messages. 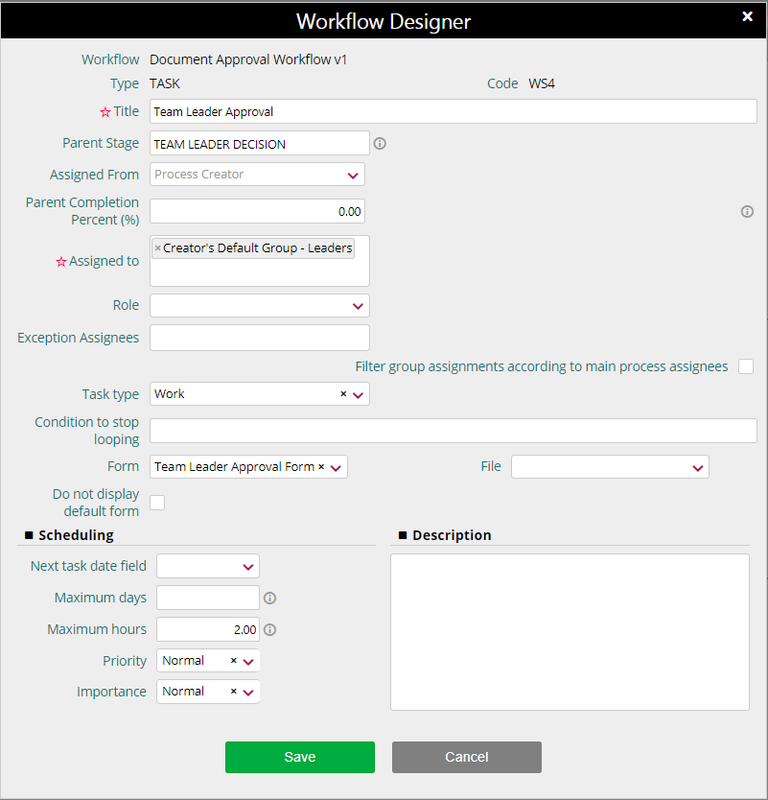 This piece of work is depicted in Comidor with a Workflow Task which can be assigned to one or more Personnel/Group leader(s) of a team/whole team and can be broken down manually to sub-tasks later, while the process is on the go. Sub-process: process that can be broken down in a set of smaller activities (other workflow with tasks and sub-processes or call-activity) and can involve 1 or more participants. Escalation is also available. From this point user can set specific conditions that will trigger actions or notifications that the user needs. In workflow design, in the task you wish to apply escalation, click on the up-arrow button, next to edit button. 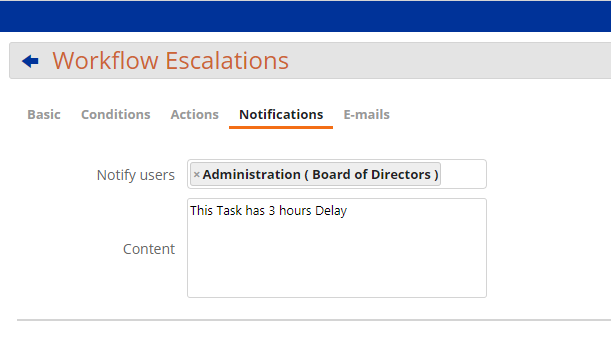 A new window opens, where you can create and manage your escalations for this particular task. Click on “+” to create a new escalation. Complete the Basic info such as Description of this escalation and Priority. Workflow and Stage are automatically set and cannot be edited. Then, choose the conditions where an action or a notification should be triggered. For example, you can select when the delayed finish of this task is equivalent or more than 3 hours to initiate an action, and/or notify user/user,s and/or send a predefined email to the recipients you wish. In tab Actions, you have the option to perform an action in a field related to the mother process or to a global field. In this example, when the task’s finish is delayed over 3 hours, the mother process state will be paused. By clicking on + button you can add more actions, and by – you can easily delete them. In tab Notifications, you can select the Group or the users you want to notify and write the content of the notification. They will receive a notes notification in their Notification bar. Finally, you can set a predefined email to be sent automatically to a particular e-mail address, or to a user/group. In order for your e-mail to be sent, you have to set up first an e-mail account. Then, click on save or save and new if you wish to create more escalations for this task. Otherwise, press cancel if you do not want to save your entry. A gateway is used to determine branching, forking, merging and joining of paths drew by sequence flow. In Comidor we have exclusive, inclusive and parallel gateways. Inclusive (OR) Gateway: Inclusive Gate refers to activating one or more flows when dividing. For incoming, all paths may be taken/fulfilled, from one to all. Parallel (AND) Gateway (Fork/Join): Parallel Gate refers to dividing of paths into two or more flows (fork). For incoming flows, parallel gateway will wait for all incoming flows before continues (join). We use sequence flow connecting objects in Comidor. Conditional Flow shows the order of activities; it may hold a condition (conditional flow) or stand as default flow. It connects activities/events/gateways with each other, being in the same pool/lane. In Comidor we store data inside the activities or inside the whole process. Data Input and Output are achieved via user forms with database or custom user fields. 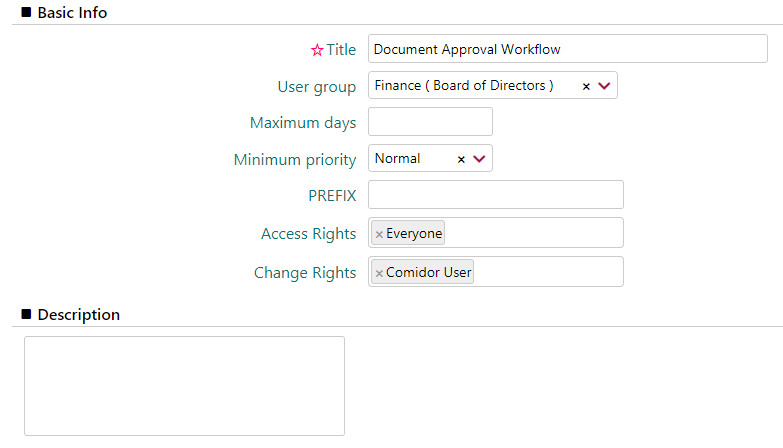 Still, there is a option to insert/update/delete fields in Comidor Tables (such as Personnel/Contact/Account/Project Requirement). 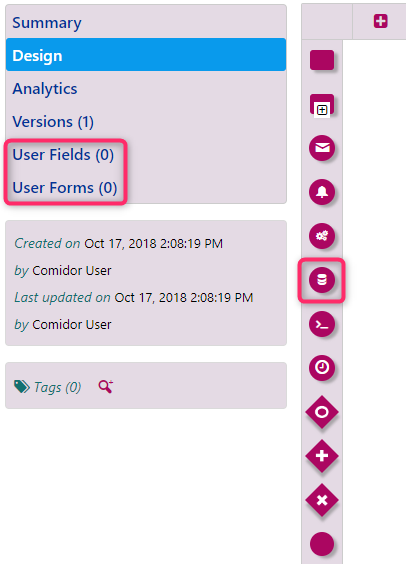 Comidor Data (Insert/Update/Delete) : Ability to insert/update/delete Personnel/Contact/Account/Project Requirement fields. RESTful Web Service: Communicate with 3rd party systems via RESTful Web Service. 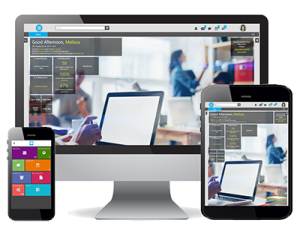 SOAP: Comidor can connect with external application or system using SOAP-based Web Service in order to exchange information. Exception Assignees is a field where you define to whom the task will be assigned to, if other rules you have set above (group leader, role etc) do not fetch any user. option to Filter group assignments according to main process assignees; thus, whether selection of “Assigned to” will be filtered according to what is added in Main Process “Assigned to” field. attach draft of an already uploaded in Comidor File! Also, you can add Activity boundaries by setting the maximum days or hours of this task duration. Tip: In case you want to associate this task completion with the end of the whole workflow, you may put a negative numbering i.e. “-5” means 5 days prior workflow completion. Description of the Activity that should be performed. 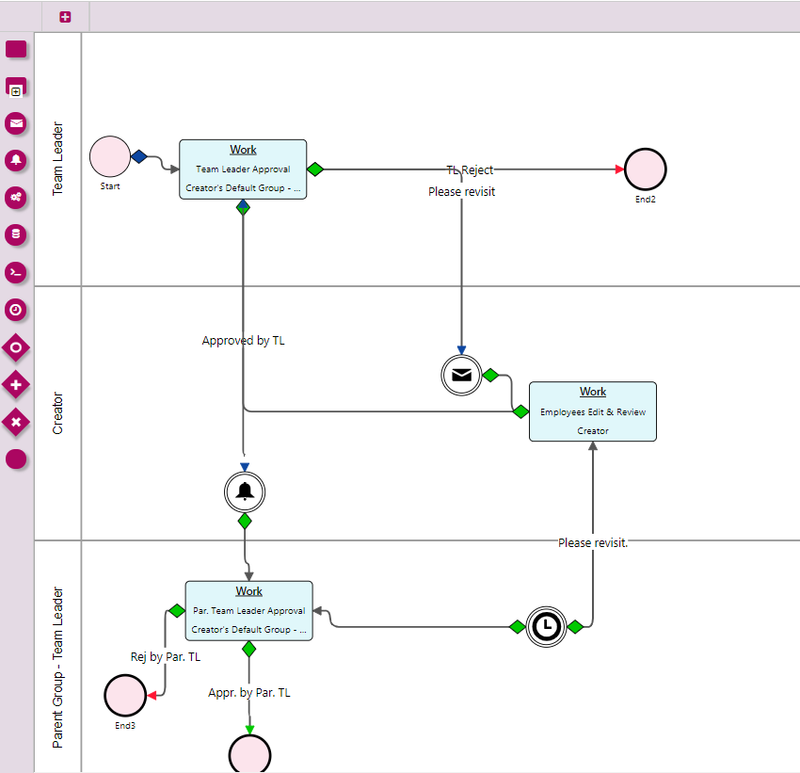 Workflow: here it may be added a Call-Activity (another Workflow with other activities) creating a collapses-subprocess. 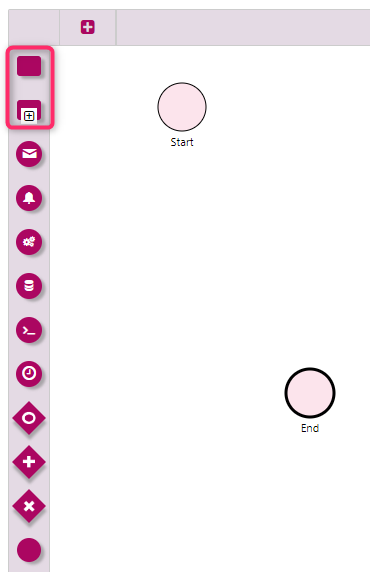 Drag-n-drop a conditional flow from a Start Event to an Activity and select the Target State, which is the initial state of the target activity (can be Scheduled or Running). Type a brief Description of the conditional flow that will help workflow understanding. 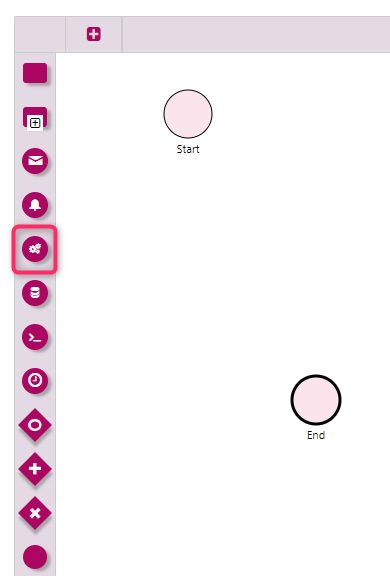 Drag-n-drop a conditional flow from an Activity/Gateway and select the Source State and Target State, which are the trigger state (can be completed/failed/canceled) and impact state (can be scheduled/running/paused/completed/canceled/failed), respectively. Conditions can be added in both cases from Custom condition builder/Advanced Conditions tab. Add further conditions through custom condition builder using either database system fields or any custom user fields you have created in User fields and added in a User form. 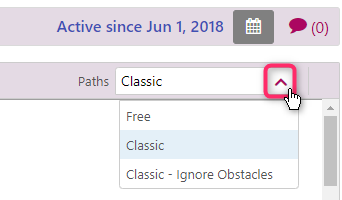 Finally, a conditional flow with your brief description has been added in your workflow design between the standard start event and the task you had created or between activities/gates. Diamonds in the conditional flow refer to Source state and arrows to Target State, blue: Running, green: Completed, black/white: Canceled, red: Failed, grey: Scheduled, orange: Paused. In more complicated workflows, there might be a need to combine and use more complex Advanced conditions. In these cases, the workflow will check more conditions as you can see bellow. Click on “<“,”>” to add parenthesis before or after the condition you want and select AND, OR between the conditions in each case accordingly. With “+” and “-” button you can add more or delete a condition. A Title which is one of the required fields. The Parent Stage which is the stage of the parent process as soon as this step is reached. You may also set Variables that will appear inside the body of the e-mail. For example, set a variable Key for the Title field of the Process, or for another database/ global field. The Sender which should be a predefined text or a custom text type field (probably already given in a custom form). The Subject which can be a predefined text or/and a custom text type field (probably already given in a custom form). Tip: adding both predefined and custom text, the predefined text will be appeared first and then the custom one. The Email Body which may be a predefined text or/and custom memo type field. Tip: adding both predefined text and custom memo, the custom memo will be appeared first and then the predefined text. For more advanced users: you can provide in your e-mail body more details and create a paragraph, or just a sentence with data acquired during the process creation. In particular, you may use the variables you set before in a sentence with #key#, as below. You can also apply html code for changing the size, fonts and colors of your message. Addresses which can be a predefined text with email addresses separated with comma or/and one or more than one custom text type field(s) with email addresses. Emails of process-related people or/and roles. These people can be users involved in the workflow, users with specific role(s), any other users, leaders of groups or all the members of groups. Attachments as custom binary type fields. Events are connected with other events/gateways/activities using conditional flow. Here, you can see an example of automated e-mail that will be sent to the selected recipient, based on the variables we have previously set. The Subject which can be a predefined text or/and a custom text type field. The Recipients which can be users involved in the workflow, users with specific role(s), any other users, leaders of groups or all the members of groups. Notifications are connected with other events/gateways/activities using conditional flow. The delay in days or in hours, filling in the respective field. Timer is connected with other events/gateways/activities using conditional flow. The Action selecting between Insert, Update, Delete. The ID Field (runtime value)/Value. The Data Map parameters giving the Field, Field (runtime value) and its Value. 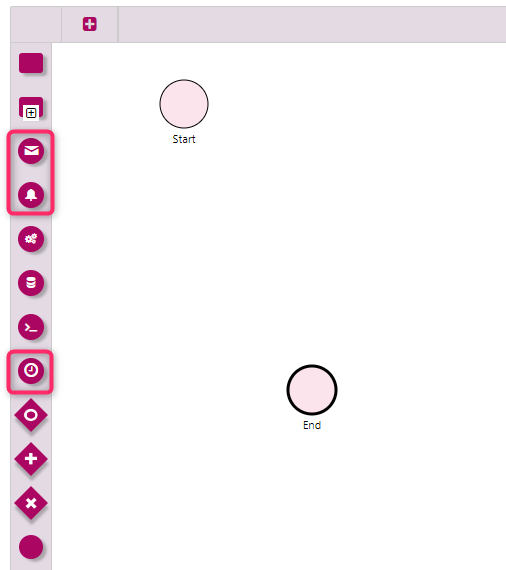 Tip: Clicking the “add” button you can add as many parameters or keys are required or needed. The Shell Type selecting between Unix (sh), Windows (cmd), Windows (Powershell), Platonscript. Also, the Shell Script Variables giving the Key, the Field and its Value. The Shell Script Body text. The Method selecting between GET and POST. The Request Header Parameters giving the Parameter Name and its Value. The Request Body specifying the Key and its Value as run-time value of a custom field or predefined value. The JSON response map populating the Key and the respective custom Field. Firstly, in Design the Paths – how conditional flow is depicted. Choose between free, classic, or classic-by ignoring obstacles based on your preferences. a Process (of any type: Generic Process, Project, Opportunity, Event, Training, Issue, Ticket, Topic, Job Posting, Campaign) connected with this Workflow. When state is “Running”, Workflow will start. a Process Template connected with a Workflow. If Process Template initial state is “Running”, workflow will start automatically, as per Process creation. Alternatively, with manual change of Process state to “Running”. a Process Schedule is connected with a Workflow. Workflow will start automatically, as per Process creation. When new Workflow-Process is set as “running”, first workflow action is triggered. Then, while Workflow stages’ states are completed/failed/canceled, workflow moves on the following stages and so on. Navigate to each Workflow in Analytics tab, to get insights on each Workflow usage. Click here to view some Workflow Examples.